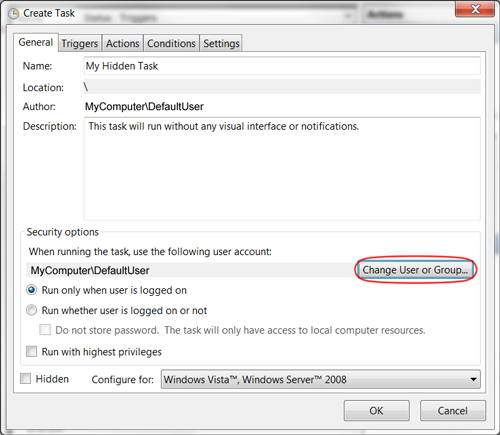 Does anyone know how to set a scheduled task to run in background using Windows Task Scheduler? There doesn't seem to be any option to do this. It's not an obvious solution, but to make a Scheduled Task run in the background, change the User running the task to "SYSTEM", and nothing will appear on your screen. As noted by Mattias Nordqvist in the comments below, you can also select the radio buton option "Run whether user is logged on or not". 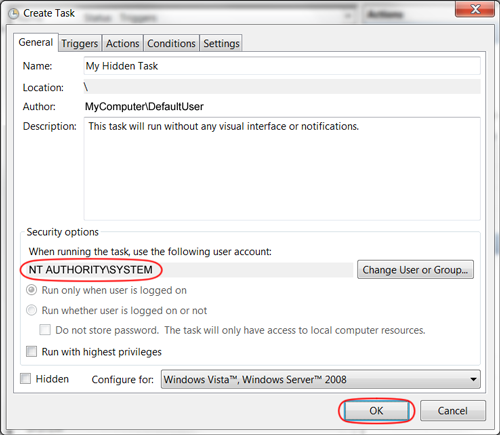 When saving the task, you will be prompted once for the user password. 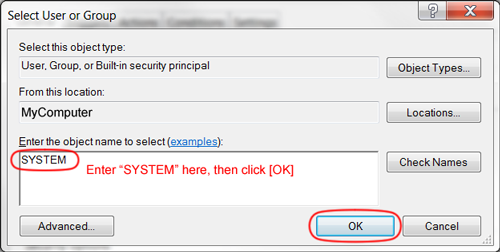 bambams noted that this wouldn't grant System permissions to the process, and also seems to hide the command window. Not the answer you're looking for? Browse other questions tagged windows background operating-system scheduled-tasks administrator or ask your own question. How to make a scheduled task complete when the minimised .bat it's running does?